These Body Butter Recipes Are Luxurious And So Good For Your Skin! Body butter recipes are a little time consuming, but they are so worth it. Using them always feels like a special treat and they leave your skin silky smooth, nourished and hydrated. Apply after your evening bath or shower and let it work it's magic while you sleep. This is an excellent way to get rid of dry rough spots and keep your skin moisturized and healthy. Indulge yourself with one of these Body Butter Recipes! Combine shea and cocoa butter together and melt over double boiler. When ingredients are completely melted remove from heat. After mixture has cooled a bit add jojoba oil. Whip ingredients together with electric hand mixer. Put mixture in freezer for 5 minutes. Remove and whip ingredients with electric hand mixture. Return to freezer for another 5 minutes. Remove and whip mixture again. Repeat this process until butter begins to form peaks and it becomes a nice consistancey that you are happy with. Store in a sterile plastic or glass jar with a lid. Over a double boiler melt together mango butter, shea butter, cocoa butter, and beeswax. Once ingredients are completely melted together remove heat and let cool for 5-10 minutes. Add oils and aloe gel and mix well with metal whisk. Let it cool for a short time again, then before mixture sets, whisk ingredients together again to obtain a smoother consistancy. When completely cooled store in a strile plastic or glass jar with a lid. Over double boiler melt together cocoa butter, shea butter and beeswax. When completely melted together remove from heat. Let cool 5-10 minutes and whisk in aloe vera gel and any scented oil you may have chosen. Let it cool for a short time again, then before mixture sets, whisk ingredients together again to obtain a smoother consistancy. When completely cooled store in a sterile plastic or glass jar with a lid. Over double boiler melt all ingredients together. Remove From heat and let cool for 5-10 minutes. Whisk ingredients together again and put in sterile glass jar with a lid. Let cool completely before putting lid on. Over double boiler melt together cocoa butter and beeswax. Remove from heat and whisk in grapeseed oil and mashed avocado. Let cool for 5-10 minutes and whisk ingredients again. Let cool and whisk together again before storing in a sterile glass or plastic jar with a lid. Body butters are more time consuming to make than some other skin care treatments, but when you see how they can transform your skin you will find it well worth your time. Of course none of these recipes are carved in stone so feel free to tailor them to your skin's needs or skin type. Add your own preferred scented oil or oils to make a body butter that is all your own! Discover your skin's natural beauty with one of these body butter recipes today! To purchase body butter supplies, below are quick links for all the natural ingredients for the recipes above. Try one of these sampler kits from Mountain Rose Herbs. 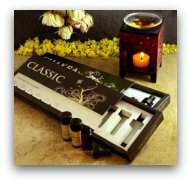 They are an economical way to test out different oils and are an excellent choice for beginners. 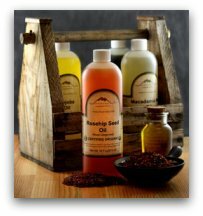 Click Here to visit Mountain Rose Herbs.